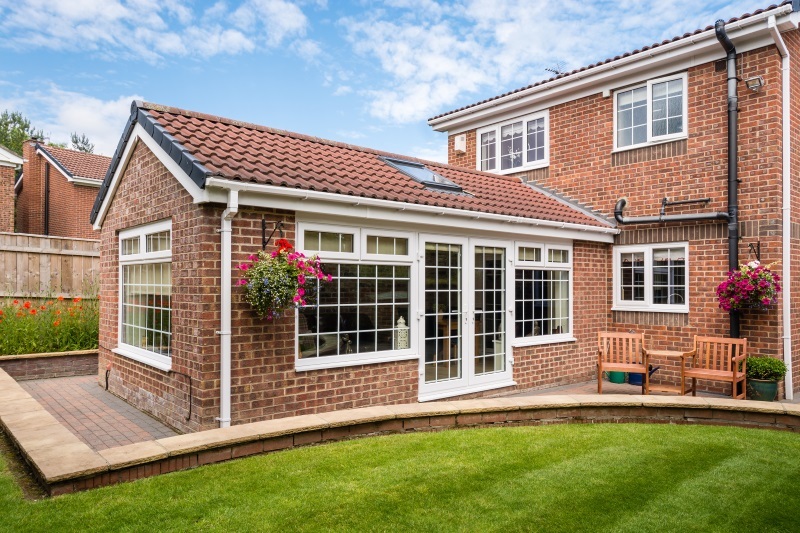 We offer a range of purpose made conservatories and Porches in PVCu, aluminium or hardwood. Designs include Lean to, Victorian and Edwardian. We can design and draw most designs of conservatory for you. Conservatory and porchroofs can be glazed with 25mm or 32mm Polycarbonate sheets in clear, bronze, Opal white, Bronze outside/opal white inside or 25mm double glazed units including the popular Pilkington “Activ” self-cleaning glass. We also supply the Guardian roof system with a slate or tile effect finish. We can install the conservatory on to your prepared base or we can build the base for you and take care of the electrics, flooring, plastering and heating if required.